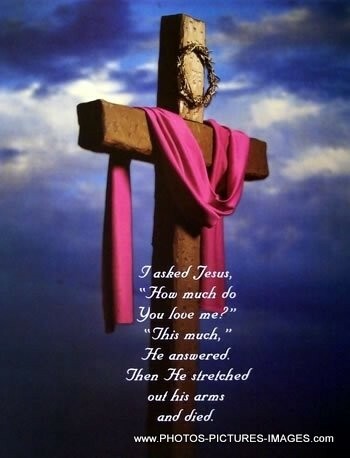 I asked Jesus How much do you love me? 'This much!' he answered. Then he stretched out his arms and died. This is written over a cloudy background with a glowing wooden cross.